Who is Jared Lee Loughner? At one point, Loughner refers disparagingly to “currency that’s not backed by gold or silver.” The idea that silver and gold are the only “constitutional” money is widespread in the antigovernment “Patriot” movement that produced so much violence in the 1990s. It’s linked to the core Patriot theory that the Federal Reserve is actually a private corporation run for the benefit of unnamed international bankers. So-called Patriots say paper money — what they refer to with a sneer as “Federal Reserve notes” — is not lawful. At another, Loughner makes extraordinarily obscure comments about language and grammar, suggesting that the government engages in “mind control on the people by controlling grammar.” That’s not the kind of idea that’s very common out there, even on the Internet. In fact, I think it’s pretty clear that Loughner is taking ideas from Patriot conspiracy theorist David Wynn Miller of Milwaukee. Miller claims that the government uses grammar to “enslave” Americans and offers up his truly weird “Truth-language” as an antidote. For example, he says that if you add colons and hyphens to your name in a certain way, you are no longer taxable. Miller may be mad as a hatter, but he has a real following on the right. Loughner talks about how you “can’t trust the government” and someone burns a U.S. flag in one of the videos attributed to him. Although certain right-wing websites are already using that (and his listing of The Communist Manifesto as one of his favorite books) to claim that Loughner was a “left-winger,” that does not strike me as true. The main enemy of the Patriot movement is certainly the federal government. And so-called Patriots have certainly engaged in acts like burning the flag. Finally, I think Loughner’s reading list, although it included children’s books and a few classics, had an underlying theme — the individual versus the totalitarian state. Certainly, that’s the explicit central theme of Ayn Rand’s We the Living and Orwell’s 1984 and Animal Farm, among others. I would argue that that’s the way Loughner seems to be reading The Communist Manifesto and Hitler’s Mein Kampf — as variants of a kind of generalized “smash the state” attitude. Chip Berlet of Political Research Associates, which does similar work to that of Hatewatch, points out in a post earlier today that Loughner also makes a reference to a “second American constitution.” As Chip notes, that is commonly understood to refer to the Reconstruction amendments that freed the slaves and gave them citizenship, among other things. Chip says that “raises the question of a possible racist and anti-immigrant tie” in the Arizona shooting. On top of that, Fox News is reporting on an internal Department of Homeland Security message suggesting some tie between Loughner and American Renaissance, a kind of white-collar racist group. I can’t speak to those allegations, although a federal official in a position to know gave me some details that made it clear the alleged link to American Renaissance appears very weak. Outside of what Chip pointed out, I didn’t see anything that suggested racial, anti-Semitic or anti-immigrant animus in Loughner’s writings. Certainly, there’s nothing I saw at all reminiscent of American Renaissance, which focuses heavily on the alleged intellectual and psychological inferiority of black people. 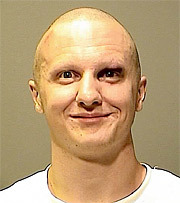 At this early stage, I think Loughner is probably best described as a mentally ill or unstable person who was influenced by the rhetoric and demonizing propaganda around him. Ideology may not explain why he allegedly killed, but it could help explain how he selected his target.